Sunday was a big day for the Big Ten at the 2004 ITA Indoor Tennis Championships at the University of Michigan's Varsity Tennis Center. The conference claimed three of the four championships- with Illinois's Ryler DeHeart taking men's singles, Ohio State's Scott Green and Ross Wilson winning men's doubles and Northwestern's Audra Cohen and Cristelle Grier capturing the women's doubles. 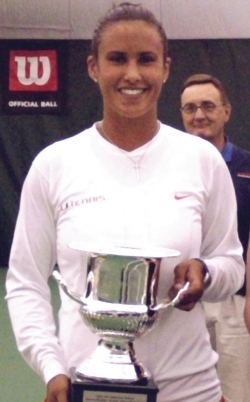 Miami's Megan Bradley earned the women's singles title. 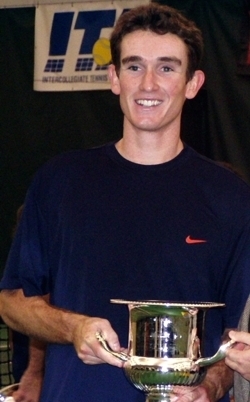 Unseeded DeHeart from Illinois beat third seed Jesse Witten of Kentucky 6-1, 6-4 to win his first major college tennis title, and become the first player from Illinois to win an ITA Indoor championship.